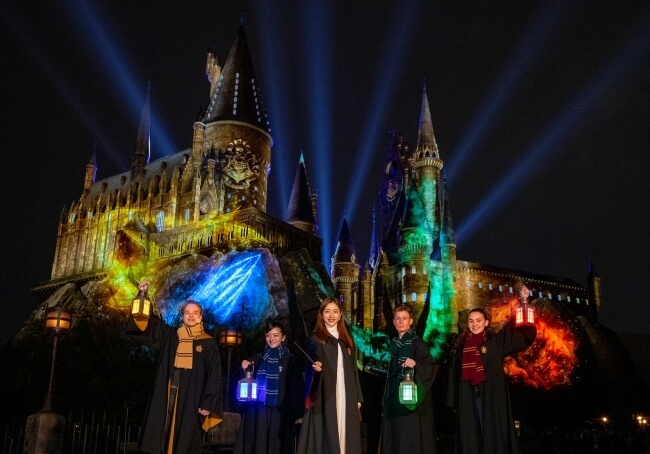 Universal Studios Japan held a ceremony on March 19 celebrating five years since opening the park’s popular Harry Potter-themed area The Wizarding World of Harry Potter. 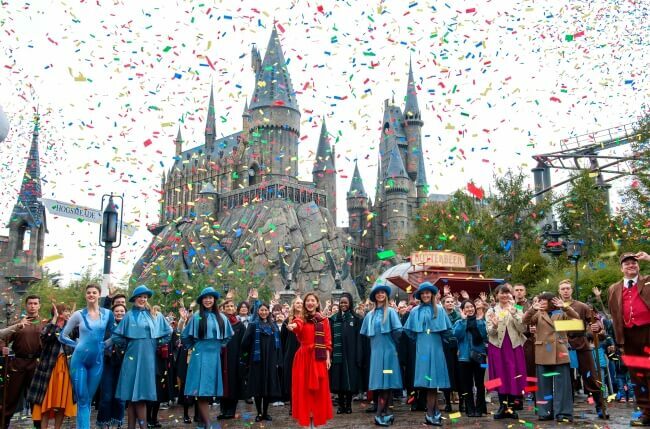 When actress Satomi Ishihara stepped out”Spring Supporter” alongside the residents of Hogsmeade and students of Hogwarts School of Witchcraft and Wizardry, the Harry Potter fans in attendance who had received exclusive invitations to appear at the event ignited huge cheers and a round of applause. Ishihara was dressed in springtime clothing and wearing a Gryffindor scarf. She initiated the start of the celebrations after which confetti colour co-ordinated for each of the 4 Hogwarts Houses shot into the air. If you’ve yet to experience The Wizarding World of Harry Potter then be sure to add it to your bucket list.